I learnt several things yesterday. 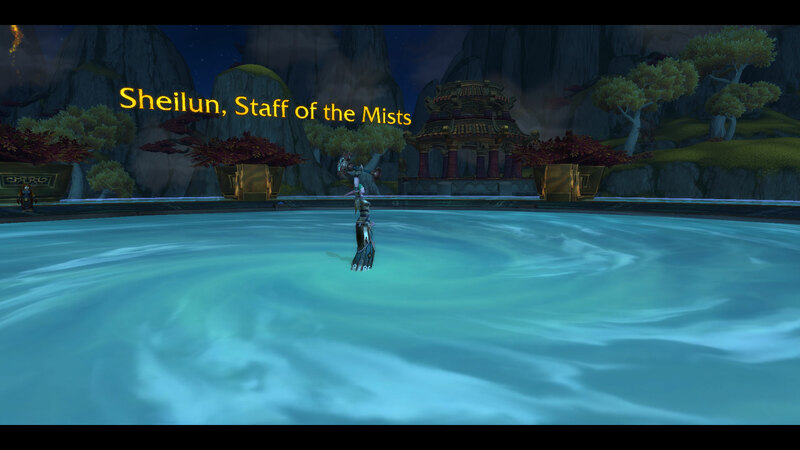 The first of those things is that I’m a terrible Mistweaver Monk. 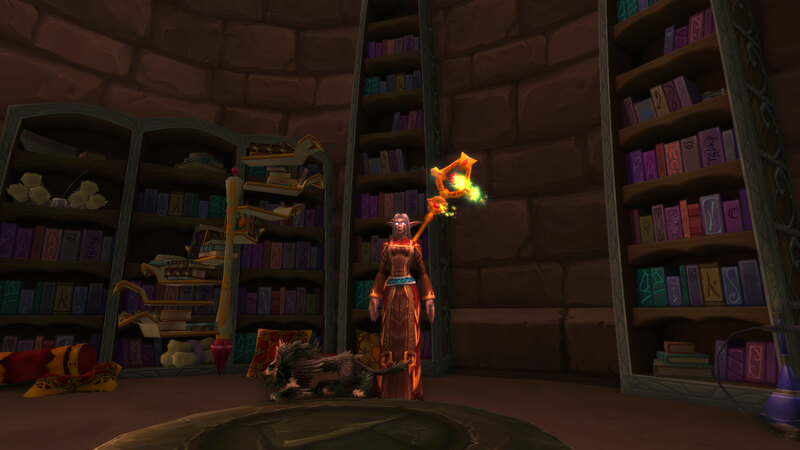 I hadn’t really played her since the pre-patch which brought so many changes but either I haven’t properly looked through her spell book and am missing half a dozen useful spells or I’m doing something very wrong. 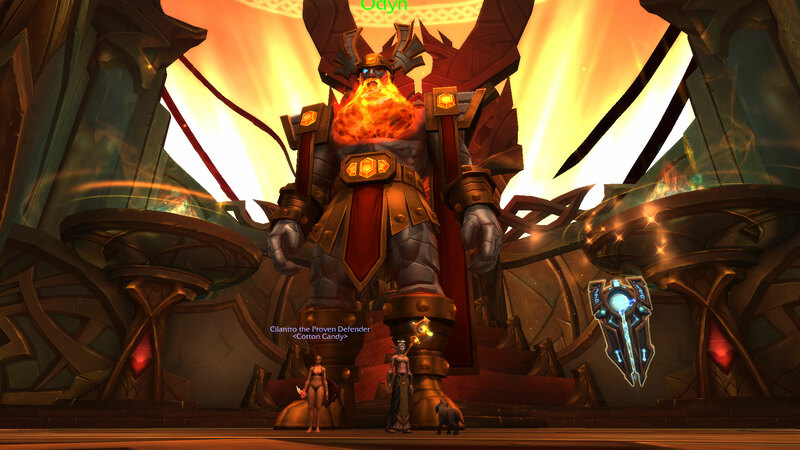 I got my artifact and am only level 99 but it felt way harder than doing any of the three Priest artifact weapon chains. 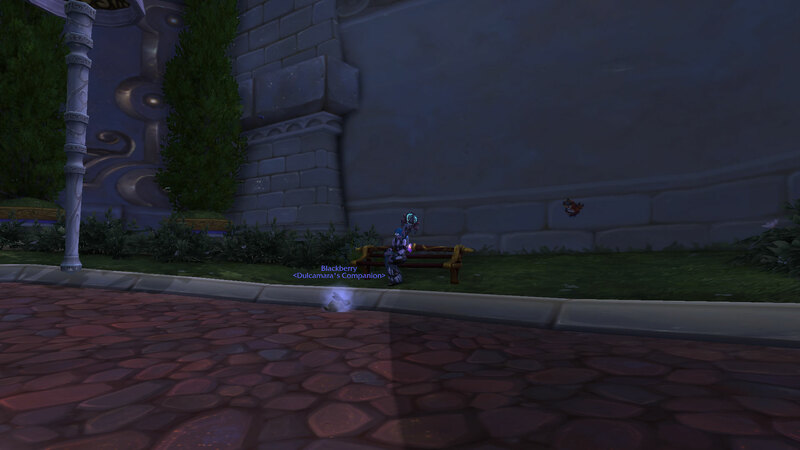 Secondly I discovered there is a real dust problem in Dalaran. Having acquired the weapon, I felt my Monk needed a change of hair colour to match her outfit so wandered off to the Barbers. Having accidentally clicked on the rug, I came out to discover an infestation of bunnies running around. 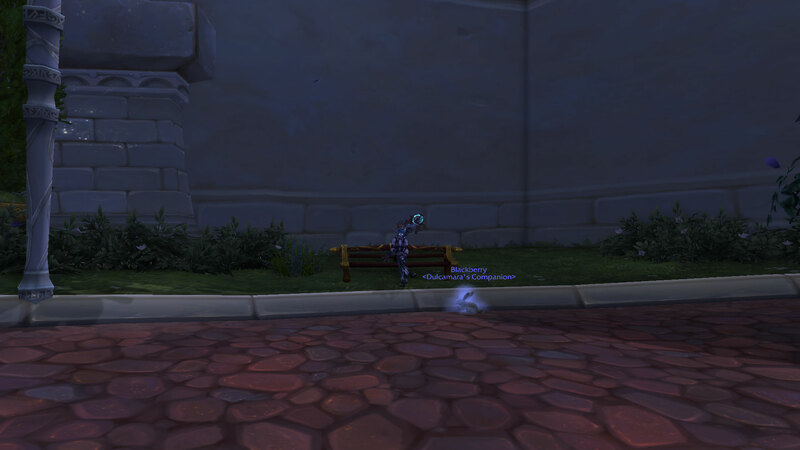 Then when sitting down to take a screenshot of said bunny, I noticed a floating Pepe hanging around next to me. All in all, a rather lucky day made perhaps even more important by the fact that it was World Suicide Prevention Day yesterday and that it’s nothing short of a miracle that I’m still here to write about the joy of something so insignificant as finding a little orange bird in a video game. I know I’ve talked about depression before but one thing I haven’t admitted is that my postnatal depression almost killed me. I remember those feelings of emptiness, of believing that my son wasn’t real and the despair… I could have drowned whole continents. Yet whenever I tried to seek help I was dismissed, patronised or told that there was something fundamentally wrong with me because of the “unnatural” feelings I had. In the end, I reached a point where I felt not only was my life pointless but that I was already blighting my son’s. Killing myself before I did him any more harm seemed the only logical solution. My life was saved by the kindness of a passing stranger* and so I’d like to pass that on, please if you’re feeling depressed and that you don’t see any point going on, talk to someone. The one lesson I’ve learned in all this madness is that the way we see ourselves is very often warped and twisted like a fairground mirror and that to get a true picture, we need to see ourselves through someone else’s eyes. 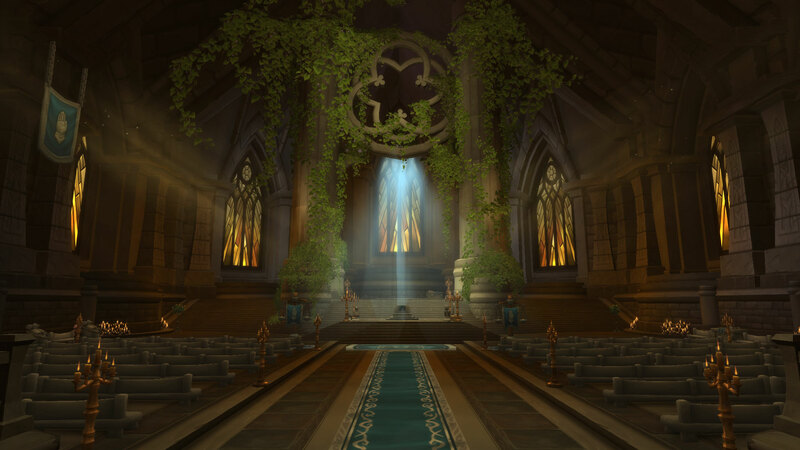 As part of my Class Hall chain, I was invited to Light’s Hope Chapel. 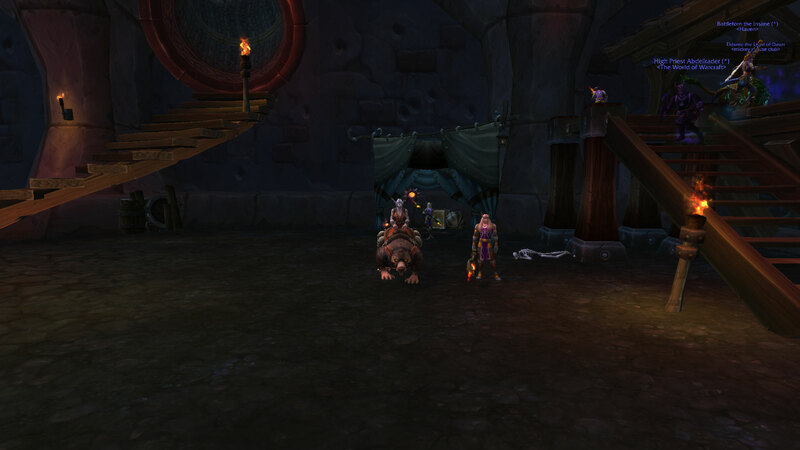 The “Class Hall” envy set in approximately three seconds after arrival. It seems that Priests are just like vampires, once across the threshold, we’re virtually impossible to get rid of. Snow and her Moonkin/Feral Druid experiment pet creature are staying put and from my Underbelly experiences, it’s going to take a lot of Paladins to evict her. So far I’ve run two Legion dungeons. 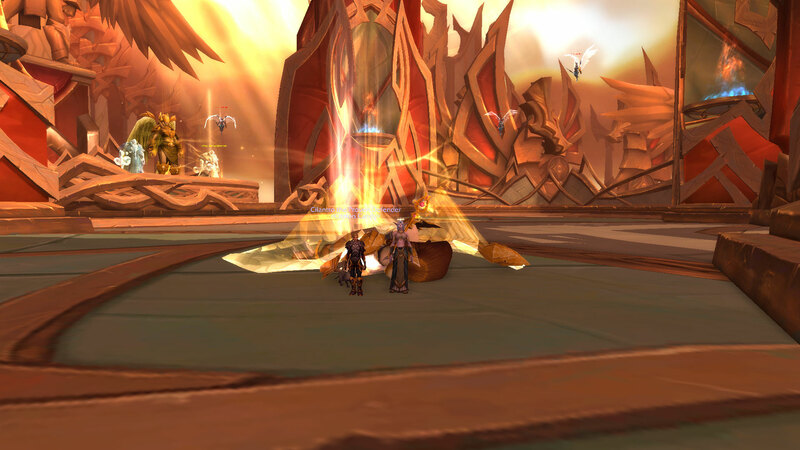 Both were fairly easy runs, a couple of wipes in the Eye of Azshara to Serpentrix and a gentle wander through the Halls of Valor with zero casualties. In particular I really enjoyed the latter, the look of the dungeon, the boss mechanics and the variation in bosses. In theory, there shouldn’t be an issue but there is. You see those two dungeon runs weren’t done with 5 people, they were done with 2. It happens every expansion, I level and then I hit a wall of what to do next. The obvious answer is dungeon but I can’t. Even thinking about queuing up has me going into “worst healer EU” mode mentally which then swiftly becomes a self fulling prophecy. I get too many physical symptoms of anxiety to play to a “proper” standard (my words, not anyone else’s). Doing this was easy, doing it with 3 more players seems impossible. With Legion it seems the problem is bigger than ever. 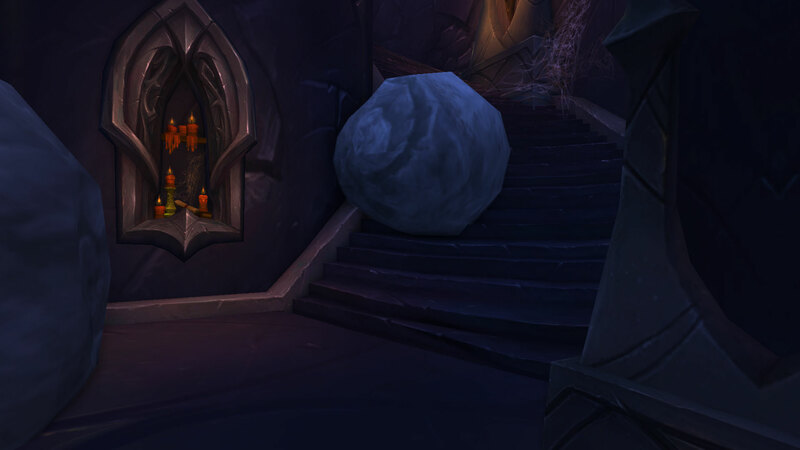 You can’t do your Class Hall mission with dungeoning, you can’t level professions without dungeoning and then of course there is the revamped Karazhan heading our way. I would love to see it but the mountain it would take for me to get there in this expansion seems too high, too steep and with far too many feral goats hanging off it’s sides. 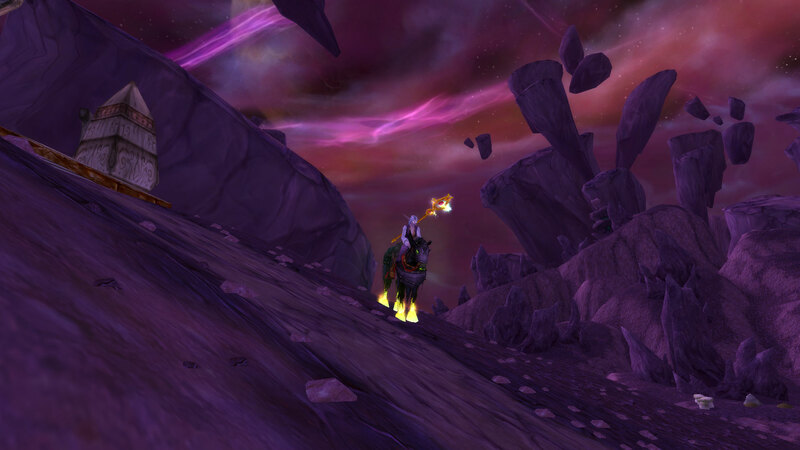 I was under the mis-impression that Blizzard had realised that there are many ways to play and that all those ways are valid, yet it seems that those lessons haven’t been learnt from the PvP fiascos of the Legendary cloak and Children’s Week. Yes, the dungeons are (in my limited experience) lovely looking and have lots of interesting mechanics and I can understand why the designers are rightly proud of them but forcing people who want to meander through the game into running them or hitting a wall seems as unfair as making people who want to progress their profession quests get blown up in the Underbelly because they either don’t know the “Guard for hire” system exists or they don’t get back fast enough to buy a new one before the timer runs out. Where I go from here, I don’t know. I’d like to say I’d wake up one morning and think well if I can do it with 2 people, adding another 3 to the mix should surely make it go faster and if one of them stands in the fire…”so what!” but the honest answer is likely the same thing will happen this time as has happened before, I play for a bit, end up with a log of dungeon quests and quit.